Over the course of two seasons, Continuum has turned into one of the better, more intriguing sci-fi shows on the air right now. It’s one of those ones that, the more you watch, the better it gets. Bouncing around in time always makes for a nice, twisted adventure, and each successive jump can lead to any number of new changes, even in the action goes down in the same era. Season two left many fans wanting more, but lucky for you, you only have to wait until March. Either way, the wait is getting significantly shorter, and star Rachel Nichols dropped a few hints at what you can expect from season three. Talking to Collider, Nichols, who plays Kiera Cameron, a cop from the future who follows a group of terrorists back to the present day, had quite a bit to say about the upcoming season. Filming began at the end of November, and though production is currently on a holiday break, she says they already have three episodes in the can. [O]verall, for this season, what I’m feeling is that where Kiera was always about getting home before, acknowledging her impact on the world, with everything she was doing in the present day, now I think there’s a part of her that’s going to be relegated to staying here and really setting up life and knowing she’s going to be here for awhile, and maybe even wanting to. That will be a back change for her, given the fact that her family is in the future. If they’re going to fill up an entire season, you can bet there will be more to come, but for the moment, this feels like a solid way to start. 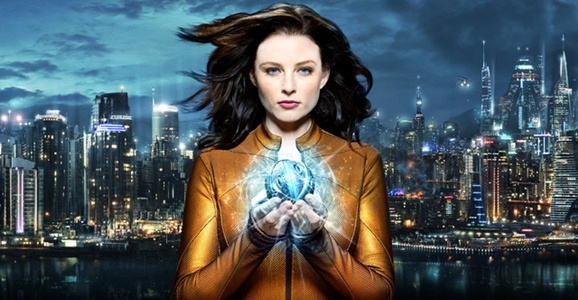 Continuum returns to the Syfy network in March. The earlier seasons are available for streaming if you’re into such things. For a treadmill show it’s a nice distraction.